Mention Walter Murch and you will get two kinds of reaction. The first is one of instant recognition. The second one veers between “The name rings a bell.” or I don’t know who he is.” However, if you ask them if they have heard of Francis Ford Cappola’s The Godfather or Apocalypse Now or George Lucas’s American Graffiti, you will get an affirmative answer. Those are all films that Murch worked on and won recognition and awards for his creative and technical contributions. Meet Murch, a 3 time Oscar-winning editor, sound engineer and author of In the Blink of an Eye. He is perhaps the only person to have won an Academy Award for sound and editing and this was for The English Patient directed by Anthony Minghella. Here is a list of films that Murch has worked. A few years ago Murch was a guest at the Palo Alto Film Festival, where he spoke about the art of editing and how he uses Apple’s editing tools. That is when I got an opportunity to get a few minutes of his time to do this interview. I was curious to find out his views on technology and how that has changed filmmaking, especially for editors. Tune in to find out what Murch has to share. 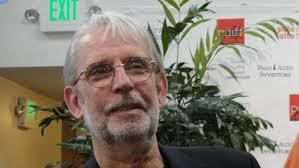 You can also watch this interview on Walter Murch: From the Godfather to the God Particle. This interview was recorded in September 2011.